Ready for another good book recommendation? 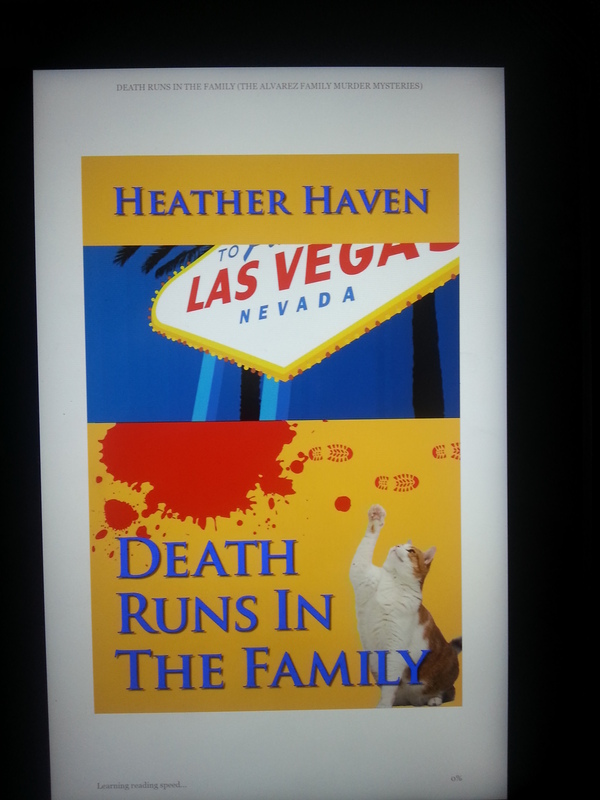 I just finished Death Runs in the Family by Heather Haven and I really enjoyed it. Death Runs in the Family is the third book in the Alvarez Family Murder Mysteries series, the first two being Murder is a Family Business and A Wedding to Die For. I first heard of Heather Haven when Death Runs in the Family was available for a free download on Kindle, and I’m happy to report that I will gladly purchase the other books in the series. It is the story of Lee Alvarez (short for Liana) who, along with her mother and brother, works for Discretionary Inquiries, their family-owned investigative service. When the story opens, Lee is being rudely awakened by the appearance at her front door of her ex-husband’s current wife, a beautiful and beguiling young woman who is desperate for Lee’s help. The young wife has arrived simultaneously with some very bad news for Lee and her family, and the two events dovetail to create a whirlwind of danger, revenge, and villainy. I don’t want to get into a plot summary and spoil any of the details, but I will say that there’s murder, gambling, and catnapping. I loved the mystery. I loved the characters and the way the author developed their relationships, I thought the pacing of the story was perfect, and I even learned some Spanish! I found the family threads easy to follow, even though this was the third mystery in the series (normally I like to start at the beginning of a series, but there’s really no need to with this one). The story takes place in several spots, including Las Vegas, Palo Alto, and one other locale that would spoil the ending if I reveal it. And speaking of Las Vegas, I learned about some of the seedier business deals that are transacted in Sin City, too. The author ties all the plot lines together nicely at the end, so I put the book down feeling satisfied and ready to pick up some of her other novels. I hope you’ll give Heather Haven’s books a look and let me know what you think! This entry was posted in Book Recommendations and tagged A Wedding to Die For, Death Runs in the Family, Heather Haven, Kindle, Murder is a Family Business. You had me at Investigative Services. I love these types of mysteries… Will add to my Must Read List…. Hope your summer is going well…. Hi Sharon! I was thinking of you when I wrote this recommendation, wondering if you’d like the book, too. I am having a great summer so far–I’ll be posting photos on FB soon so you can see what I’ve been up to. And if your photos are any indication, it looks like you’re having a great summer, too. Thanks for stopping by!